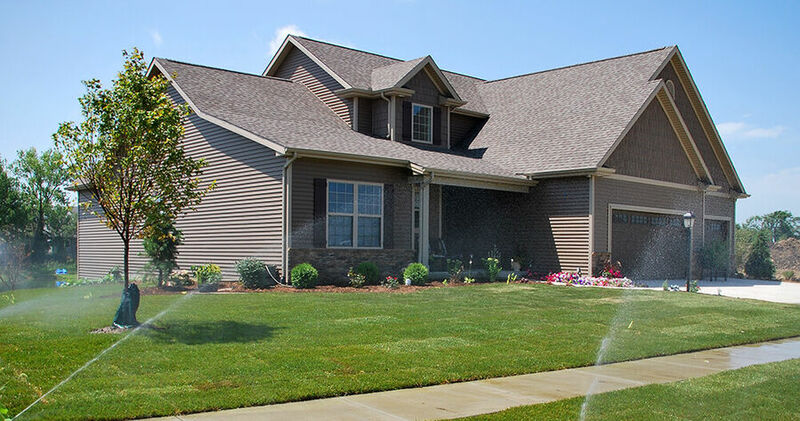 The purpose of a lawn irrigation system is to improve the look and health of your landscape. An added benefit is water conservation. An irrigation system will ensure the proper amount of water is used and eliminate waste. Systems with rain sensors are available that will shut the system down when rainfall is detected. With proper watering levels and the proper watering times, your landscape investment will thrive and ultimately add value to your property. Rainwerx is a full-service lawn irrigation company offering end-to-end systems for both residential and commercial applications. A skillful analysis of the new landscape plan or existing landscape to ensure an optimal system is designed. Proper placement of the system will maximize coverage and guarantee that every area of the landscape is properly irrigated. System maintenance is key to performance and longevity. Spring start-ups allow inspection and performance checks of each valve, nozzle and the con‍‍‍t‍‍‍rol system to make sure your system is working properly. Fall winterizations prepare the system for shut-down by blowing out of water lines and check valves to avoid mainline and lateral line freeze damage.